Muscat racing driver Ahmad Al Harthy and the Oman Racing team were officially crowned 2017 Blancpain Endurance Cup Pro-Am champions on Friday, 24th November, during the star-studded annual SRO Awards evening in Paris. 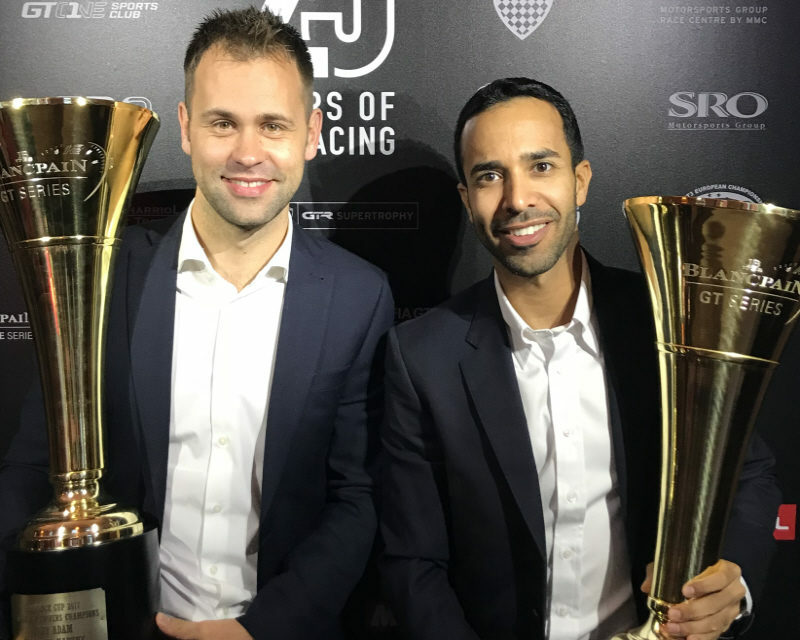 Joining the great and good of international GT endurance racing, Omani sportsman Al Harthy and team-mate Jonny Adam received their stunning trophies at the historic Palais Brongniart in the French capital. Capping off a truly incredible year in grand style, Al Harthy then had the immense privilege of being welcomed by the Oman Ambassador to France, His Excellency Dr Moosa Jaffer Hassan, to the Oman Embassy in Paris. “What an amazing evening, an incredible awards ceremony and the absolute perfect end to Oman Racing’s best ever season”, said the Sultanate’s number one racing driver, “I have to thank everyone who made this possible, winning the Pro-Am championship is a huge achievement for us and also for sport in Oman as a whole. As well as the awards ceremony itself, Friday night’s occasion also marked a special celebration for the 25th anniversary of GT racing which tied in very neatly too with the 10th anniversary year of Oman Racing. Following swiftly on from the Paris celebrations, Al Harthy headed home where he was received at Oman International Airport by His Excellency Rashad Al Hinai, Undersecretary of the Oman Ministry of Sports Affairs. Also welcoming their champion home were Al Harthy’s other key sponsors Oman Air, National Bank of Oman, Omantel, Barr Al Jissah and Amouage.